To evaluate predictive values of sarcopenia and visceral obesity measured from preoperative CT/MRIs for postoperative pancreatic fistula (POPF) after pancreaticoduodenectomy in patients with periampullary malignancies. From the prospectively constructed surgical registry, we included adult patients treated with pancreaticoduodenectomy. Based on CT/MRIs, body morphometric analysis was performed to evaluate the visceral obesity and sarcopenia, based on the areas of visceral fat and skeletal muscle measured at the L3 vertebrae level. We retrieved various perioperative factors from registry. As outcomes of postoperative complications, we evaluated POPF and major complications based on the Clavien-Dindo classification. Multivariate logistic regression analyses were performed. From a total of 284 patients (163 males, 121 females) who met the inclusion/exclusion criteria, POPF, major complications, and 60-day mortality occurred in 52 (18.3%), 34 (12.0%), and 6 (2.1%), respectively. Sarcopenia and visceral obesity were noted in 123 (75.5%) and 66 (40.5%) of men and 68 (56.2%) and 53 (43.8%) of women, respectively. Combination of sarcopenia and obesity (sarcopenic obesity) was noted in 31.9% (52/163) of men and in 26.4% (32/121) of women. In multivariate logistic regression analyses, sarcopenic obesity was the only independent predictor for POPF (OR 2.65, 95% CI 1.43–4.93), and the vascular resection during pancreaticoduodenectomy was the only independent predictor for severe complications (OR 3.75, 95% CI 1.61–8.70). Sarcopenic obesity might be highly predictive for POPF. Body morphometric analysis in preoperative CT/MRI combined with assessment of perioperative clinical features may help to identify high-risk patients and determine perioperative management strategies. • Sarcopenic obesity might be predictive for postoperative pancreatic fistula after pancreaticoduodenectomy. • The vascular resection during pancreaticoduodenectomy might be predictive of major complications. 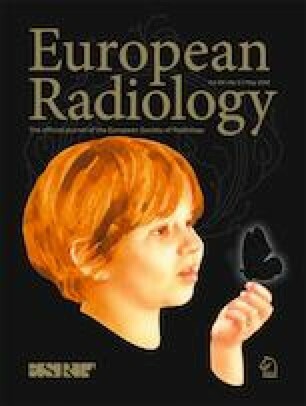 • Body morphometric analysis might be helpful for identifying high-risk patients. Minji Jang and Hyung Woo Park contributed equally to this work. The online version of this article ( https://doi.org/10.1007/s00330-018-5790-7) contains supplementary material, which is available to authorized users. This research was supported by a grant from Guerbet (No. GK-XTX-2017-34) and a grant (No. HI18C1216) from the Korea Health Industry Development Institute (KHIDI). The scientific guarantor of this publication is Jimi Huh. J.H. is a recipient of the grant from Guerbet. K.W.K. is a recipient of the grant from the Korea Health Industry Development Institute (KHIDI). The other authors have no conflict of interest. One author (Kyung Won Kim) has significant statistical expertise.